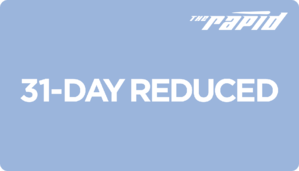 The Rapid offers a number of different fare types and purchase options to best meet your needs when using the fixed-route system. The Wave Card is here! Providing riders with a faster, easier and more convenient way to pay for your fare! 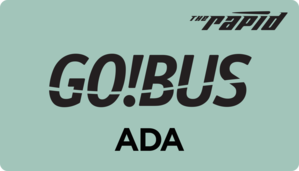 Pay-as-you-go value makes travel on The Rapid buses easier than before. * Students must present a valid school ID. ** Requires proof of disability or age 65+. The valid ID for persons with disabilities is a Rapid-issued photo ID card. The Rapid honors half fare for Medicare card holders. 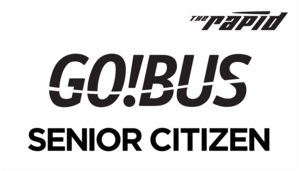 Seniors may use: Medicare card, driver's license, or other proof of age 65+. The half fare applies to single ride cash fares only. 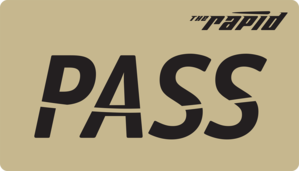 See GO!Bus or PASS for information on fares. You can purchase fares online at any time. All ticket and pass types are available online at any time, using credit cards only. Note: When purchasing a ticket or pass with a credit or debit card, the card must bear the purchaser's name, i.e., The Rapid cannot accept "gift cards" such as pre-paid VISA® cards if it does not have the purchaser's name on the card. We apologize for any inconvenience this might cause. 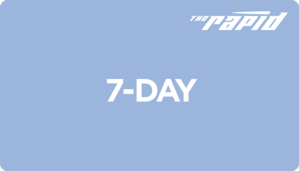 One-Day passes, 7-Day passes, regular 10-Ride tickets and Student 10-Ride tickets can be purchased on fixed-route buses using cash only. 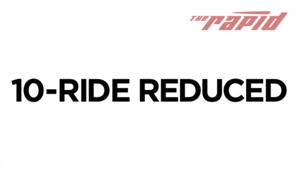 If you do not have exact change, you will be issued a change card that is good toward future rides. Change cards will not be exchanged for cash and are valid one year from date of issue. All fare and ticket types are available. Cash, checks, credit cards, debit cards, and money orders are accepted. TVMs are located at all Silver Line Stations, as well as Rapid Central Station. All fare and ticket types are available. Cash, credit, and debit only. 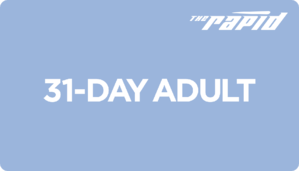 View an instructional video about purchasing fares at The Rapid Ticket Vending Machines. **10-Ride Tickets are not available at TVMs. Farecards and tickets are available at the following locations. Payment options may vary by outlet. Transfers were developed to help customers travel conveniently within our system on a single fare. If you have to ride more than one route in one trip, ask the bus operator for a transfer pass when you pay your fare. Transfers are free for fare-paying riders. You must request a transfer upon boarding. Transfers are valid for a two-hour timeframe in which a customer can transfer between three different routes. 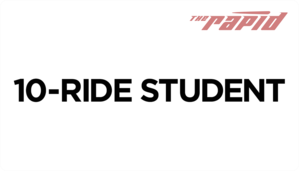 Student transfers are issued to students using a Student 10-Ride pass and are valid for a one-hour timeframe in which a student can transfer once. Transfers do not work on the same route they were purchased. Transfers should be inserted into the fare box when used. If a transfer is used on the Silver Line, it must be validated at a Ticket Vending Machine before riding. When transferring from the Silver Line to a fixed route, your validated Silver Line fare will act as your transfer when boarding the bus. A continuation transfer can be requested for routes (Routes: 1, 4, 7, 9, 14, 19) where the bus only passes in only one direction on a street. Ask the operator if you have a question. The Rapid will not replace Wave cards, tickets, transfer cards or change cards that have been damaged due to misuse or altered in any way. 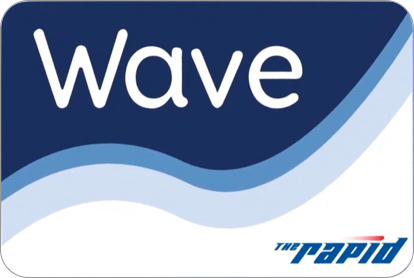 Wave cards, tickets and fare are non-refundable and will not be replaced if lost or stolen. Any value loaded onto a Wave card is non-refundable. The City of Grand Rapids and Downtown Grand Rapids Inc. have partnered with The Rapid to create a No Fare Zone for the Silver Line, which encompasses all Silver Line stations from Wealthy Street northbound.